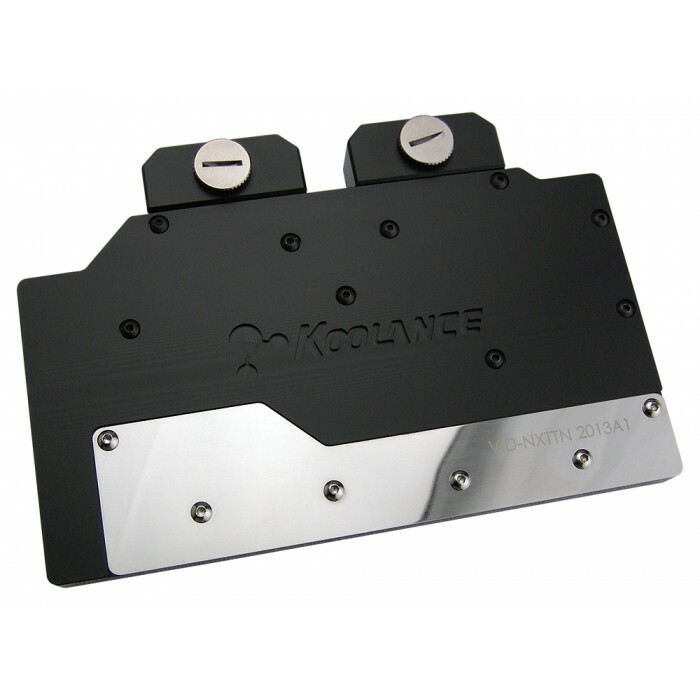 The Koolance VID-NXTTN2 is a full coverage video block for water cooling NVIDIA reference GeForce GTX TITAN, TITAN Black, GTX 780, and GTX 780 Ti cards in single and multi video card configurations. It utilizes a high-performance microfin (0.5mm) design made of solid copper with anti-corrosive nickel plating. 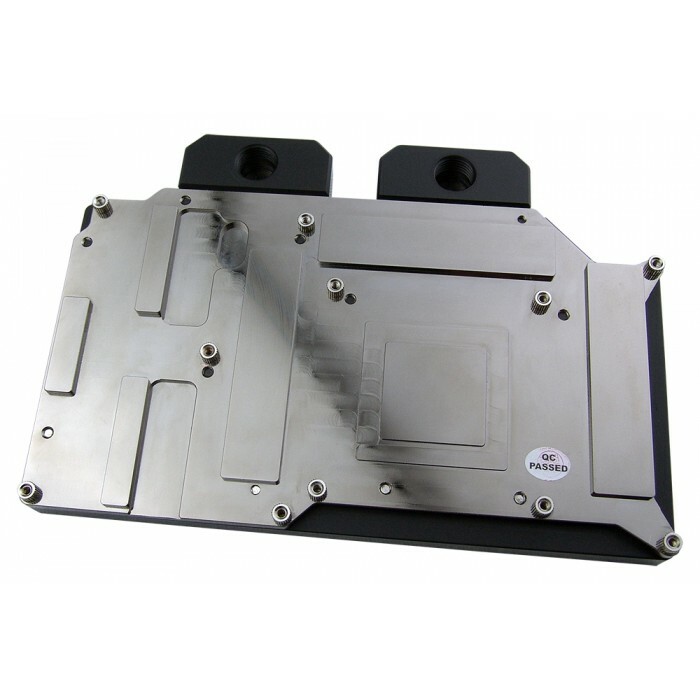 An aluminum back plate is included to handle the rear memory chips.